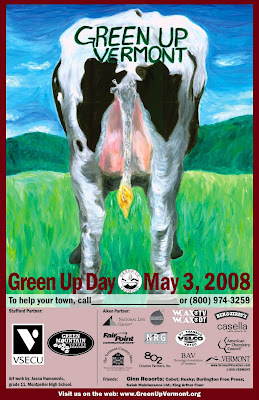 This is the 2008 Green Up Day poster. On the first Saturday of May, Vermonters turn out to clean up the roadsides, hillsides, fields and streams of litter. Every town has plans and activities for the day. To view my photographs of flowers found while escorting children at school while they cleaned up their town trail, click here.